The newest and most stylish spinning reel released by Okuma yet. The Okuma Epixor LS spinning reel is definitely way more than what meets the eye. Taking the situation of a fisherman being out on a trip, with perfect weather and water conditions, he or she would only want the best. 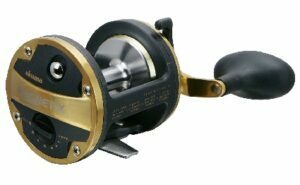 The Epixor spinning reel provides this comfort as it is one of Okuma’s most reliable, smooth and durable reels yet. Formulated with the perfect mixture of aluminum and graphite, the Epixor looks flawless and performs superbly. Thus, giving fisherman all they need to keep their high success rate when out spinning on the waters.